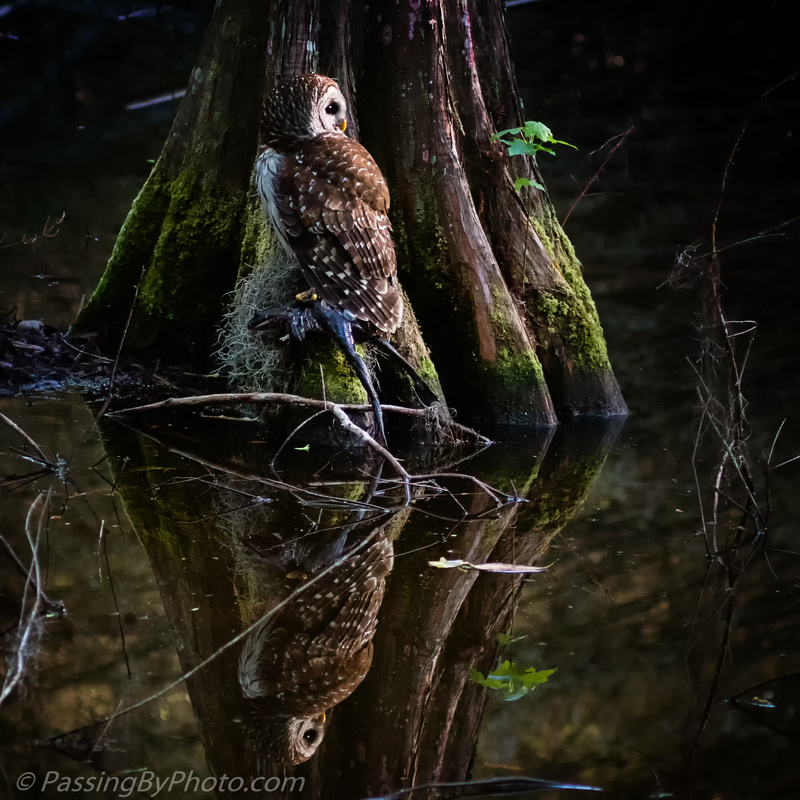 Portrait of a Barred Owl holding his frog catch. Thanks, Frank! I was happy to get the reflection in that low light. The light in this scene is just beautiful! Thanks, Belinda, glad that you liked it. Wonderful photo, i love the reflection! Thanks, Maggie. Its always nice when the water is so still and the light is right. Thanks, Paz! It was quite a treat to watch. This is quite an extraordinary photo, Ellen! Very nicely done. Like a work of art, it is so fine. Thank you, Pete! I’m glad that you enjoyed it. You were meant to be there to photograph this owl, Ellen. How wonderful! Thanks, Donna. It really was neat to watch the scene unfold.